truTV is larger-than-life compulsive viewing. With a mix of original and unscripted programming, truTV brings us unique characters in explosive and amazing real-life situations. 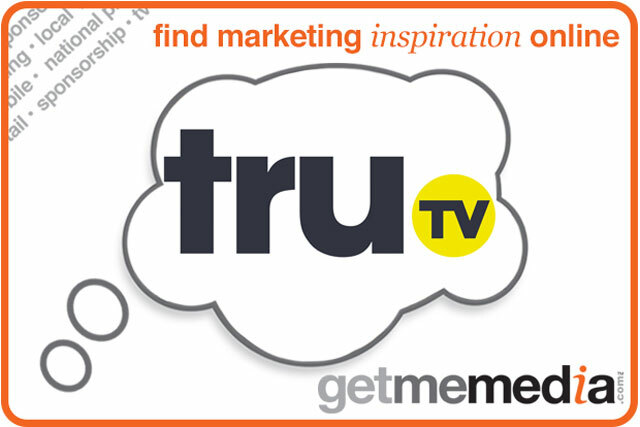 truTV is offering brands a number of advertising and sponsorship opportunities. This is an excellent opportunity to build awareness of your brand. Opportunities include: Channel Sponsorship; Primetime Sponsorship; Daytime Sponsorship; Weekend Takeovers; Show Sponsorship; Bespoke Branded Content and truTV Promotions. Programming will include: Fear Factor, a competition reality series; Redneck Island, where a group of contestants, stereotyped as "rednecks", are stranded on a deserted island as they compete for food and immunity; and Killer Karaoke, where contestants are challenged to sing with the most diabolical distractions. This is a brand new opportunity opening up existing and potential new categories to the Turner portfolio, including: Alcohol, Gaming, Retail (HFSS), Motoring, Finance, Confectionery, Cosmetics, Soft Drinks, FMCG, Pharmaceutical, Telecoms, Travel, DR.
A full marketing and PR campaign to grow awareness and drive habitual viewing among the target audience will also support the launch of the channel, which widens Turner's UK portfolio and will include UK first runs. Is the heat stifling your marketing creativity?